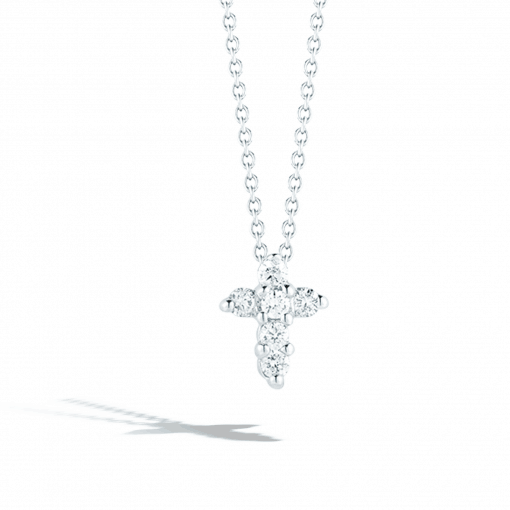 Roberto Coin’s baby cross is featured in the Tiny Treasures collection. 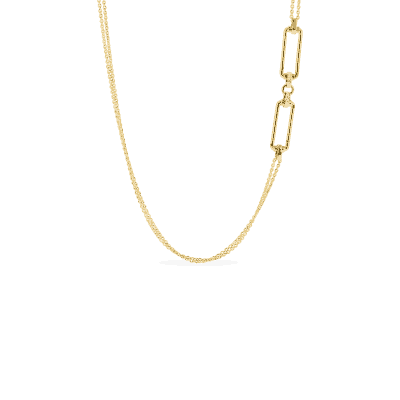 Glorious white diamonds are set in 18kt white gold, and the pendant floats magnificently on a 16″ – 18″ adjustable chain. 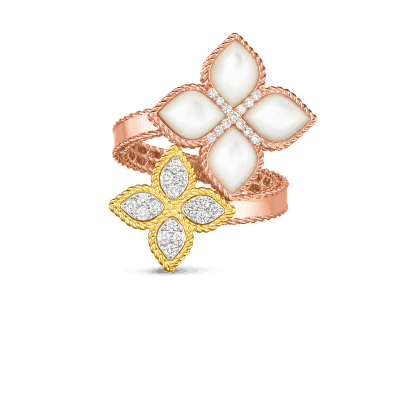 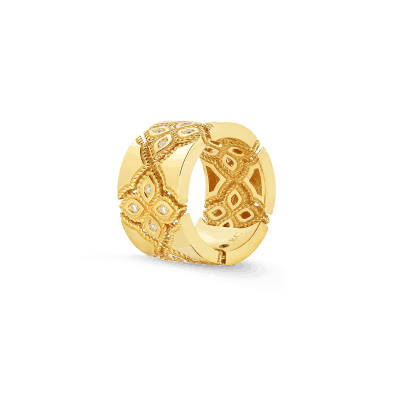 This tiny treasure from Roberto Coin will have you singing praises!